Yesterday evening, The Skylark was a hot spot! 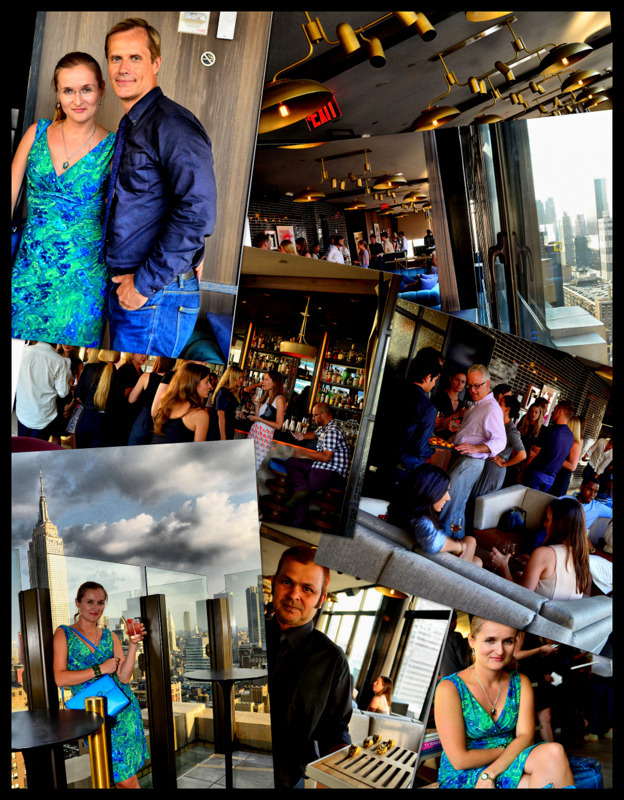 Located in the Garment District in Manhattan, this glamorous 30th floor cocktail lounge with an open air rooftop terrace was Sydney in the heart of NYC! The Australian Fashion Foundation gathered all Aussies for the 6th Annual Summer Party. If you are not from “Down Under” you might not hear about the AUSFF- the foundation that promotes and helps talented, passionate Australians open the door of the fashion industry, gain experience and recognition on a global scale. The Australian Fashion Foundation was created in 2008 by Julie Anne Quay and Malcolm Carfrae. I had a pleasure to meet Mr. Carfrae (see the photo!) at such an important moment in his career. A few days ago, he left the position of Executive Vice President of Global Communications at Calvin Klein to join the crew of Ralph Lauren as a global head of communications, public relations and media next week. How exciting is that! Carfrae was so busy at the event that unfortunately I didn’t have a chance for an interview with him. Next time Mr. Carfrae! I was and still am curious about the beginnings of the AUSFF, what he is proud of the most and about the key initiative of the foundation that is an internship. I know that the foundation works in partnership with The Woolmark Company that helps the AUSFF expand into Europe. Once a year, there are two scholarships offered to two winners that are selected through a competition. They receive the AUSFF Prize of $20,000 grant and an internship with a global fashion company in New York City or Europe. To check out the rules, see here. The new submissions will open in September! It was an interesting experience for me to feel the Aussie spirit at this exclusive social event in one of the most spectacular venues in NYC. The view of the Empire State Building from the rooftop is amazing! Thanks to Aussies for this fun summer party and see you next year! Wow I had no idea. I love that they try to help up and coming designers. Not easy to break in to fashion even when you from the states or Europe. Great post. This is great Looks like an amazing activity! Thanks for your lovely comment in my blog! I am now following you to keep in touch with your recent updates!